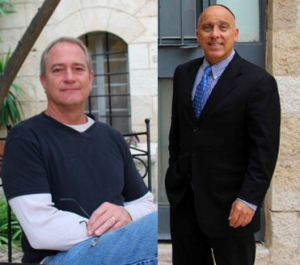 In this, our fourth episode of Israel Story, called “A Man on a Mission,” we introduce three Israelis who are not religious but have pursued unusual hobbies with missionary zeal. One is a hitman-for-hire, another collects a highly specific classification of autographs, and the third is a professional whistler. This has earned them, variously, animus, accolades, and celebrity in far-flung places. Try "Holy Cow." An episode of Israel Story is all about sacred bovines! Prologue: Got a Place To Go Tonight? Visitors to Israel—or at least to Jerusalem, or, OK, at least to the Old City in Jerusalem—can reasonably expect to bump into a missionary or two. Nava Winkler introduces us to a couple of them who explain what they do and how they do it. At an extremely early age, Shavit Ben-Arie became the leading expert on the female members of the Israeli parliament— and in many cases also, their de facto adopted grandson. Mishy Harman— who met Shavit in quite unusual circumstances— brings us this story. Not all crows are created equally, and the species invading Eilat is especially vicious and vengeful. During June alone, the municipality hotline received over sixty calls reporting crow attacks. 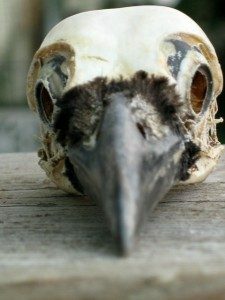 One crow taunted a lifeguard, swooping down at him for a month and leaving him with a bloody forehead. Another family couldn’t leave their house without being attacked. When the city decided to take matters into its own hands, they hired Yoram, Eilat’s first hitman for crows. In the past ten years, he’s killed around three or four thousand crows. And it seems to be working, there are certainly fewer crows, but not everyone is happy with this solution. Daniel Estrin went to Eilat to hear Yoram’s take, and also the perspective of people in the community who are appalled by Yoram’s work. 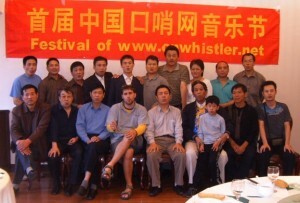 Nava Winkler shares the story of Elik Frumchenko— a young Israeli who was backpacking in China when, on a whim, signed up for a Chinese whistling convention, and became the first Westerner to attend. He went expecting to hone his whistling skills, but he didn’t expect to become the star of the show. For help on today’s episode, a special thanks to our newest team member, Nava Winkler. Thanks to Alex Kapleman from the great new podcast Pitch, about music, and how it affects us. If you haven’t already heard them, you totally should. Check it out at hearpitch.org. To Daniel Estrin, Karen Carlson, Naomi Chazan, Gaya Opher, Ganit Gray, Anna Fogel, Ethan Pransky. As always to Charles Monroe-Kane, Caryl Owen, Steve Paulson, Anne Strainchamps and all the team at To The Best of Our Knowledge. Our executive producer is Julie Subrin and a huge thanks to the rest of the gang at Tablet. The Israel Story staff includes Mishy Harman, Yochai Maital, Roee Gilron, Shai Satran, Nava Winkler and Maya Kosover.